The album is full of the vivid folk-rock-campfire-tales frontman Eric Earley is so well known for – take a listen to the album track, “Ever Loved Once” below. VII moves effortlessly from track to track, allowing Earley to paint the colorful pictures that play in our head while singing along. “…there are those songs I keep writing over and over again, “Ever Loved Once” with all its regrets and tragic lost love, “Don’t be a Stranger” its hopeful cousin but they all still point to the same worn out place in the heart of old E. Earley. And hey, we all have that place, that worn spot on the heart like the chew canister circle on the back pocket of blue jeans, or that one shred in the green felt of the table where you ground the stick in too hard… May these songs minister in ways mysterious and eternal, or at least maybe make you shake a hip“. 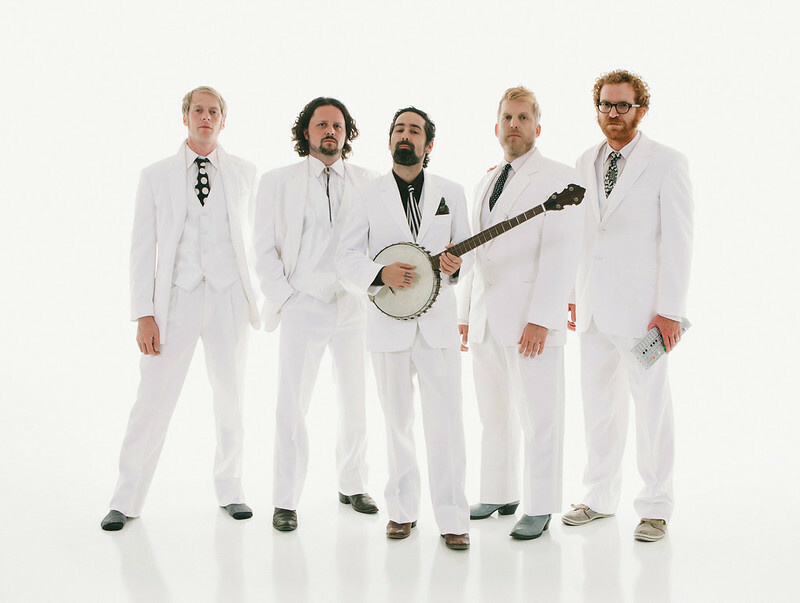 Blitzen Trapper‘s VII will be released on CD, vinyl LP & digital download on 30th September. PRE-ORDER IT NOW.